The Swiss banking giant has revised its estimate for how the RBNZ capital rules will hit the country's major lenders. Previously, UBS warned New Zealand banks would face a $15 billion shortfall. UBS now believes there is "limited capacity" for banks to utilise perpetual non-redeemable preference shares for their capital reserves. It says banks will also want to keep a buffer of 1% on top of the minimum requirements. These factors, according to UBS, mean the big four face a bigger shortfall than previously expected. Under the Reserve Bank proposals, currently under consultation, the big four would be forced to boost capital ratios from 12% to 16% over the next five years, representing an extra $20 billion in combined reserves. Smaller banks would have to increase their capital ratios from 14%-15%, increasing their combined capital by 0.9%. Critics warn the capital proposals, introduced by governor Adrian Orr (pictured), will lead to more expensive borrowing rates for Kiwis. The RBNZ says they will only have a "minor" impact on borrowing rates. UBS says major Australian/NZ banking groups will be hit with massive shortfalls over the next few years, and predicts a significant impact on lending rates. UBS predicts National Australia Bank, parent of BNZ, could be $2.7 billion short of capital by 2020, rising to $6.4 billion by 2023. 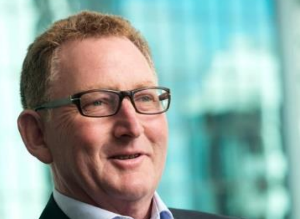 The investment bank believes it is "unrealistic" to think Australian banks will accept a return on equity of 10%-11% from their NZ subsidiaries. The investment bank believes the capital rules could force Kiwis to pay an extra $1.9 billion-$2.7 billion extra on their mortgages, and says mortgage rates will increase by 80 basis points to 120 basis points. "With the Major banks maintaining 86% market share in NZ we do not believe competitive forces will be sufficient to offset such repricing, while credit rationing is also likely," UBS analysts said. UBS says "credit rationing is also likely" following the introduction of the rules, which could put pressure on the Kiwi Dollar and Official Cash Rate, as well as leading to the repricing of dairy and SME books. The new capital rules arrive at a time when an OCR cut looks likely, due to weak economic growth and business confidence. Economists say lower borrowing costs are likely to be balanced out by capital rule-driven rate hikes.